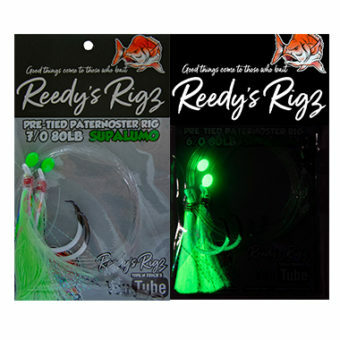 introducing Reedy's Ultra Rig: New Improved Version of the Flasher Rig! The Flasher Rig and Snapper Snatcher are made using FLASHABOU Fibre. FLASHABOU is an old technology, founded way back in 1982. Back then, it was discovered that adding “flash” or a synthetic accent to the lure was a great way to attract fish. 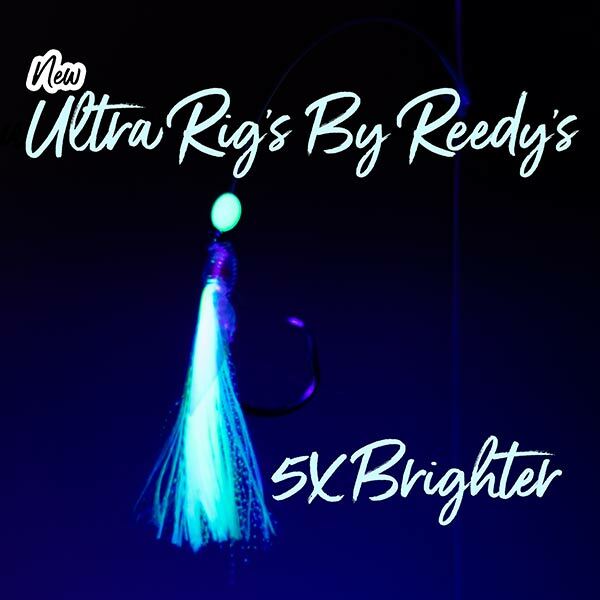 But the Reedy’s Ultra Rigs can catch not only snappers, but also salmons, tailors, gummy sharks and Mulloways, or for that matter any of your favourite fish species. How Much Does the Reedy’s Ultra Rig Cost? Not much at all! You can now buy the Reedy’s Ultra Rigs at many reputable tackle shops for just $12.95. This entry was posted in Snapper fishing Adventures and tagged flashoubo, new rigs, snapper rigs, ultra rig.